The Spring Festival is the grandest festival for the Chinese. The Spring Festival is also called "Nian", but who knows the term, Nian, was once the name of a furious monster that lived on human beings in the ancient time. How the festival has some relationship with the monster lies in a story about the origin and development of the Spring Festival. The legend says, long ago, there was a monster called Nian. It was born to be very ugly and ferocious, which looked like either dragons or unicorns. On the first and the 15th of each lunar month, the monster would come down from the mountains to hunt people. So people were very much afraid of it and locked their doors early before sunset on the days of its coming. There lived an old wise man in a village. He thought it was the panic in people that made the monster so bold and furious. Thus the old man asked people to organize together and to conquer the monster by means of beating drums and gongs, burning bamboo, and lighting fireworks for the purpose of making large noises to threaten the hateful monster. When he told people about the idea, everybody agreed on it. On a moonless and freezing cold night, the monster, Nian, appeared again. The moment it opened its mouth to people, burst out the frightening noises and fire made by people, and wherever the monster went, it was forced to back off by the terrible noises. The monster couldn't stop running until he fell down with exhaustion. Then people jumped up and killed the evil monster. Savage as the monster was, he lost in the end under the efforts from the cooperation of people. Since then, people have kept the tradition by beating drums and gongs, and lighting fireworks at the coldest day in winter to drive the imagined monsters away and to celebrate the victory over it. Today, Nian refers to the New Year's Day or the Spring Festival. People often say Guo Nian, which means "live the festival." Furthermore, Nian also means "the year." 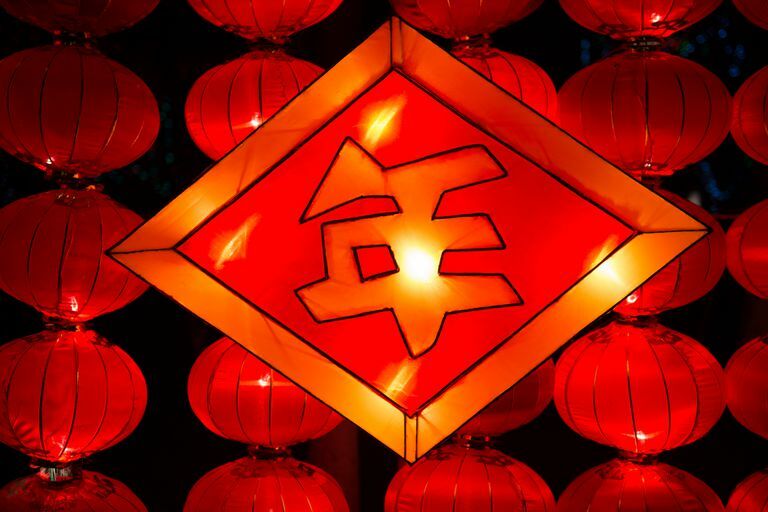 For example, the Chinese often greet each other by saying Xin Nian Hao, which means "Happy New Year!" Xin means "new" and Hao means "good."